Unless things change soon, North Carolina taxpayers will be on the hook for at least $145 million a year for a voucher scheme that funds private, mostly religious schools with no idea about what the schools teach or how most of the students are doing academically, not to mention that the publicly funded schools can openly discriminate against gay students or kids with gay parents. Increasingly we are also learning that the voucher schemes are not producing the gains in student achievement that proponents claim. In many cases, students using vouchers to attend private schools and religious academies are doing worse than their counterparts in public schools. 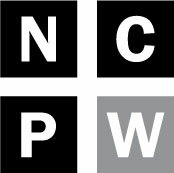 The latest report comes from the Children’s Law Clinic at Duke Law School and calls the North Carolina voucher program poorly designed with one of the weakest accountability systems in the nation. One of the few requirements that is part of North Carolina’s voucher law is that schools with more than 25 voucher students enrolled must report aggregate test data, which is public record. The majority of voucher schools enroll fewer than 25 students and are not required to report anything about student achievement to the state. The Duke report looks at the how students are doing at the voucher schools that are required to report, 10 percent of them in 2015-2016 with 22 percent of the total number of voucher students, and the results are not encouraging. More than half of the voucher students tested below the national average in reading, math and language and overall performed below their peers in public schools though it is not a precise comparison because the law allows voucher schools to select their own national tests. Still the trend in the Duke study is clear and it mirrors findings in two recent national studies, which are also discussed in the report. The lack of accountability and troubling trends in student achievement don’t seem to faze voucher supporters who are in the middle of another round of well-funded lobbying and public relations efforts in Raleigh. As Billy Ball of NC Policy Watch reported last week, one of the strategies appears to be part of a national movement to re-brand voucher schools as part of the public school system because they are funded with public dollars. One prominent state official who remains unconvinced is Governor Roy Cooper. Cooper’s budget allows students already receiving vouchers to continue to receive them, but ends the program’s dramatic expansion called for in the budget passed by the General Assembly last year. Voucher supporters do not really have an answer to the questions about accountability or the fact that many of the schools use textbooks that teach students religious beliefs as fact, like the claim that dinosaurs and humans coexisted on earth. Their response is usually that public schools are failing some students and they need to try to something new, and that parents are the ultimate accountability measure. Of course, many voucher supporters also oppose initiatives to fully fund programs for at-risk children or increase investments in low-performing public schools and programs for families to help low-income students. And parents are already free to send their children to any private school they want, regardless of what they teach or who they admit. But the taxpayers of North Carolina should not have to pay for it, especially when there is a public school system available to everyone. 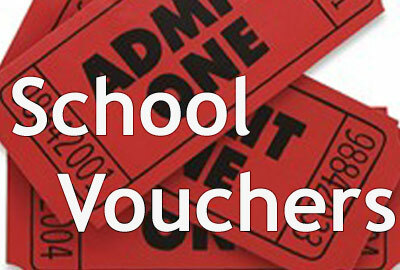 Cooper’s right about vouchers. It is time to pull the plug, not expand them. They do not increase student achievement, they are not accountable and they do discriminate.